Let Quality Printing Services help you leverage your company's image with custom printed envelopes. 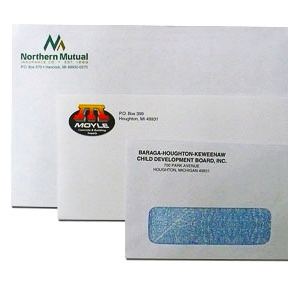 Our envelope printing services will provide everything you need to make your brand stand out. Whether you've already got the design and are ready to print, or need assistance with the design or paper selection, QPS is committed to making sure your business envelope printing matches your company's brand and message. Custom envelope printing from QPS includes: A wide selection of colors, types and weights of paper. A wide range of products that coordinate with your envelopes, such as stationery, business cards and brand identity materials. The right envelope can make a big difference in how your customers, clients and partners see you. Let our design specialists work with you to create the envelopes that best represent your business. QPS is committed to giving you more than just an envelope - we want to help extend and perfect your brand. If you do, they'll come back over and over. Give them what they want - and a little more.